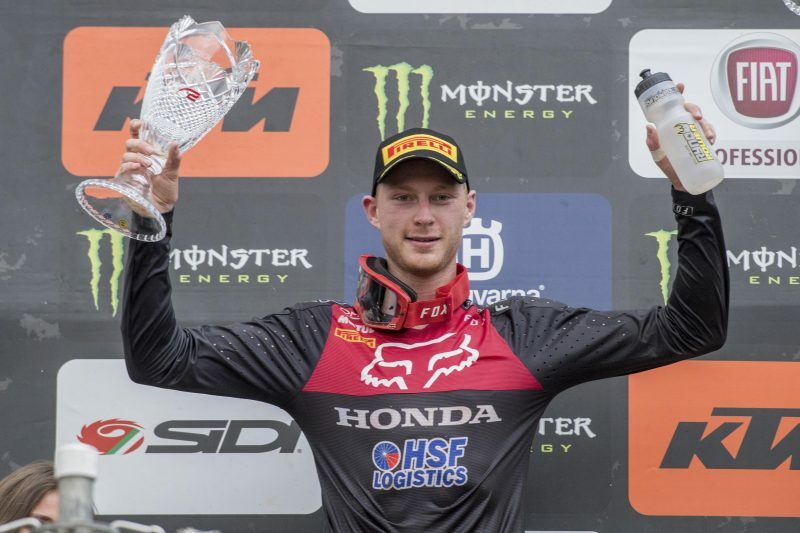 Calvin Vlaanderen has had a stellar race day at Loket as he wrapped up the MXGP of Czech Republic with a second place overall – and third consecutive podium finish – despite a difficult starting position. 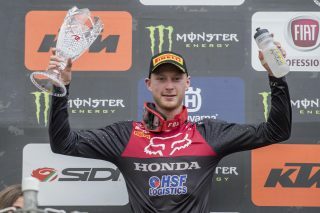 With a win in the first moto, a third place in the second race and 45 points overall – the same as the GP winner – the standard bearer of Team HRC in MX2 is now only 13 points shy of fourth place in the standings and 40 points away from the top-three. 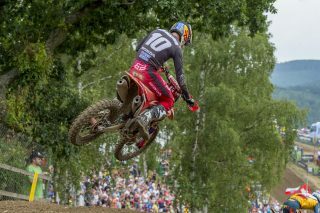 Despite the 21st gate pick, Vlaanderen had an excellent start and was fourth as the MX2 field completed the opening lap of the race. 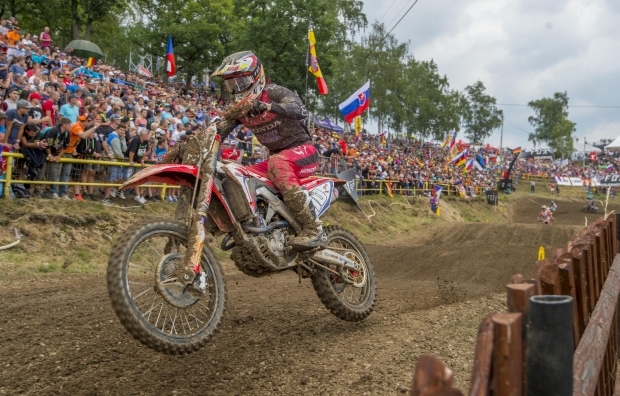 After getting the better of Henry Jacobi and Michele Cervellin in the early stages of the moto, the 22-year-old rider from Cape Town put himself on the chase of the leading duo and powered his Honda CRF250RW machine first past Jorge Prado (lap ten) before taking the lead on lap 14 from Thomas Covington. Once at the front, Calvin never looked back and was five seconds ahead of the battle for second place before entering the final lap. 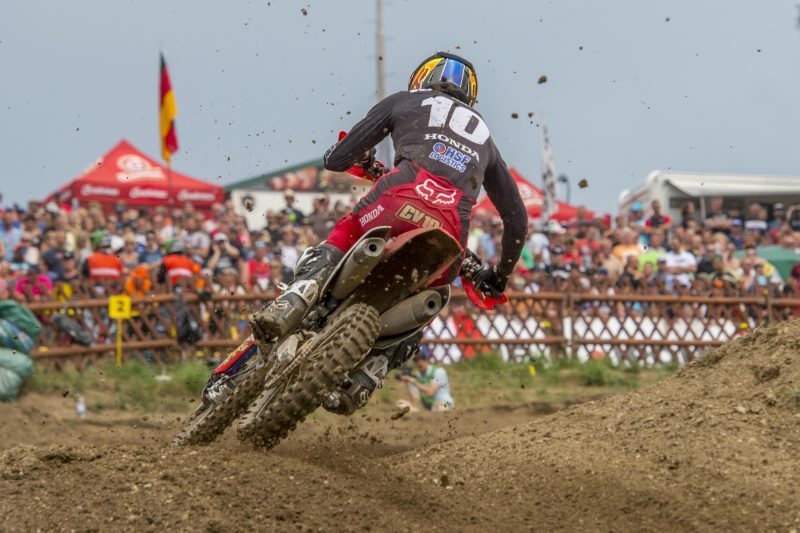 Vlaanderen was in eleventh place entering the first full lap of the second moto, and soon began his charge to the front. 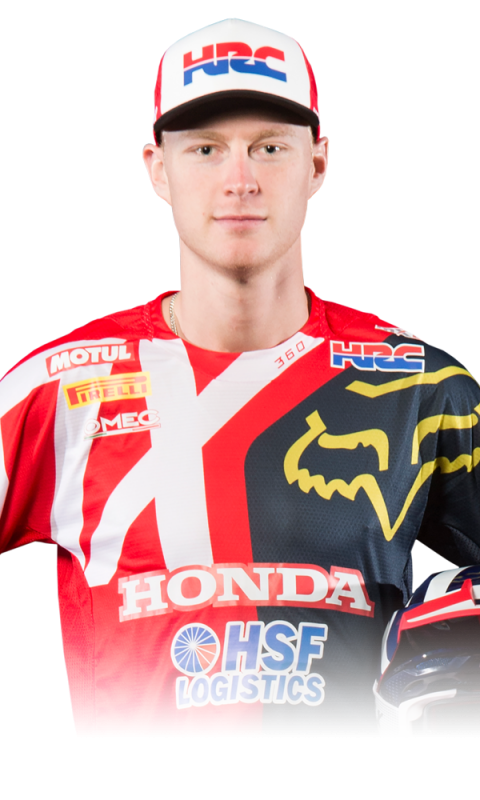 By lap six, he was all over Pauls Jonass for third and, after the two swapped positions a couple of times, Calvin lost a little bit of rhythm and ground from the Estonian opponent. 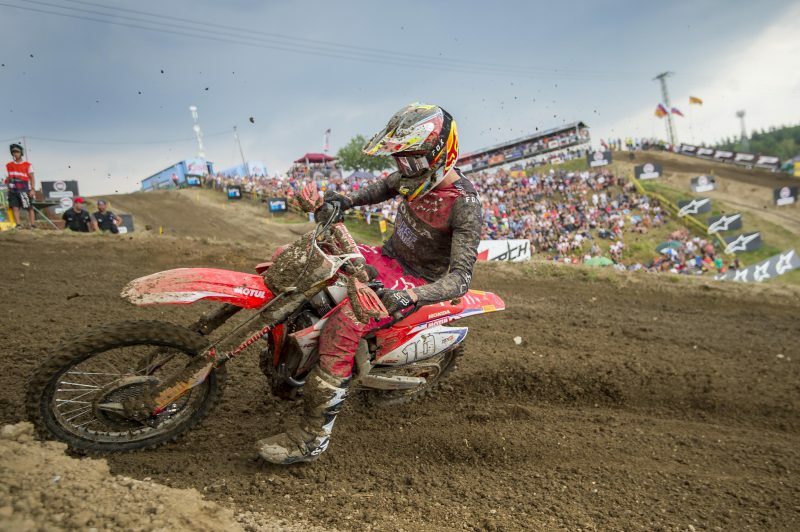 Calvin did not give up and by lap 12 he completed the perfect pass on the reigning champion; it was a little bit too late, however for a last go at the overall win, which would have required a second-place finish after Prado edged Covington for first place in the moto. 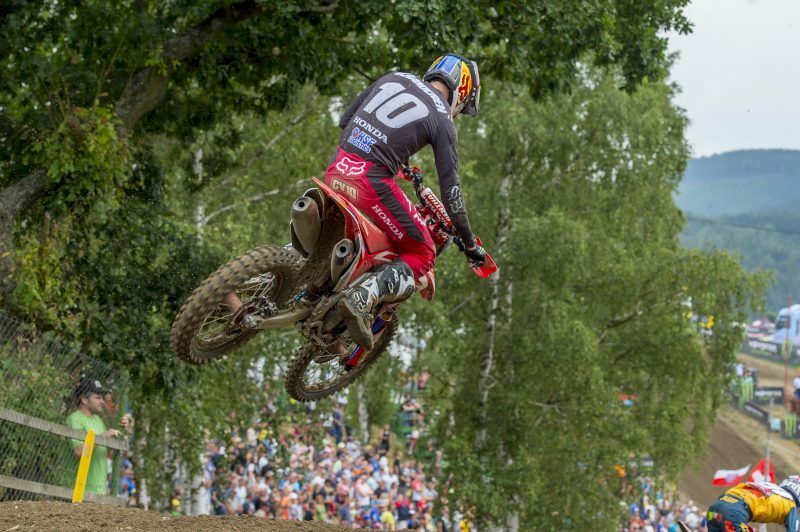 The MX2 World Championship will return to action in a fortnight’s time (4-5 August) at Lommel in Belgium. I feel really good, I had such a good weekend. I was disappointed about yesterday and the crash with Pauls which resulted in the 21st gate-pick. I woke up this morning and felt really good, though; I thought this was the kind of day in which I could prove myself and try to win, and I think my riding showed it. I felt I could do anything I wanted on the bike. 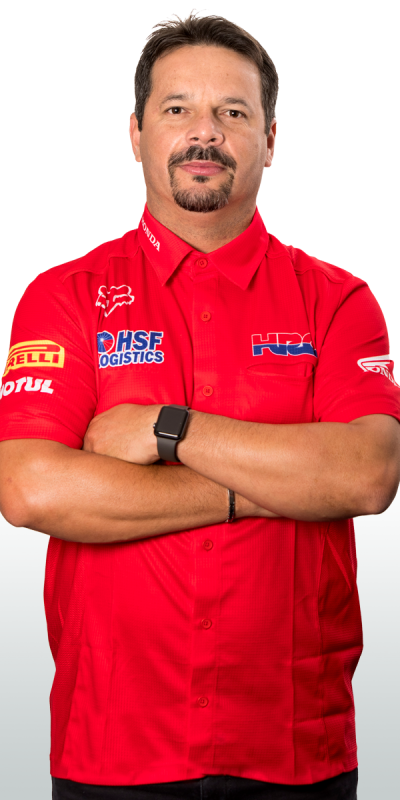 The time I’ve been spending at the front aboard the CRF is giving me a lot more confidence, and with confidence comes the motivation to train even harder and give it all on the track. We are working really well as a team and I feel we’re in a very good place right now. We have a weekend off now before Lommel, which is a pretty brutal track for us riders, but if we can keep the same momentum there it will be a good weekend I’m sure. Calvin has been absolutely incredible on the track today. He was able to turn a poor qualifying into two impressive performances and he was really close to getting his second overall win had he not lost a bit too much time trying to overtake Jonass in race two. We’re very happy to see him so comfortable, quick and aggressive out there: I know he wanted the win and that didn’t come, but it’s 45 points anyway and now the top-three is getting closer, so we must keep going this way. Thank you to the team for the outstanding work: the bike was set-up perfectly and a pleasure to watch on track.